Analysts said gold dropped due to subdued demand from local jewellers and retailers at existing levels and a weak trend in global market. On Friday, gold prices witnessed a fall of Rs 80 per 10 grams at the bullion market in Delhi. 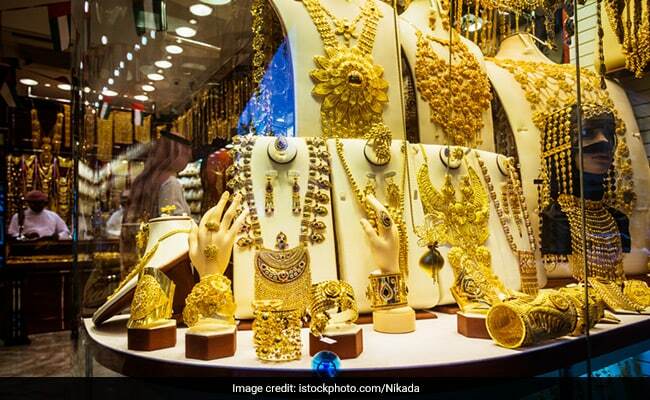 Gold prices on Saturday fell by Rs 60 to Rs 33,160 per 10 gram at the local market in the national capital owing to weak demand from jewellers, reported Press Trust of India (PTI) quoting All India Sarafa Association. A weak trend in overseas market also dampened trading sentiment, traders were quoted as saying in the report. On Friday, gold prices witnessed a fall of Rs 80 to Rs 33,220 per 10 grams at the bullion market in Delhi. 1. In the national capital, gold of 99.9 per cent and 99.5 per cent purities fell by Rs 60 each to Rs 33,160 and Rs 33,010 per 10 gram, respectively. 2. Analysts said gold dropped due to subdued demand from local jewellers and retailers at existing levels and a weak trend in global market. 3. Sovereign, however, remained unaltered at Rs 25,500 per piece of eight gram. 4. In line with the overall trend, silver ready fell by Rs 280 to Rs 40,100 per kg and weekly-based delivery by Rs 382 to Rs 39,198 per kg. Silver coins continued to be traded at previous level of Rs 77,000 for buying and Rs 78,000 for selling of 100 pieces. 5. Globally, gold eased by 0.77 per cent to $ 1,282.30 an ounce and silver by 1.26 per cent to $ 15.41 an ounce in New York on Saturday. On Friday, gold slipped to its lowest in more than a week globally, as equities and the US dollar got a lift from investors taking on more risk due to growing hopes for a resolution in the China-US trade war, reported news agency Reuters.